Skype will make its way out of your bedroom and onto your iPhone on Tuesday. AT&T might want to keep an eye on what apps Apple allows onto the iPhone. Some of them might cost the cell phone provider major money. 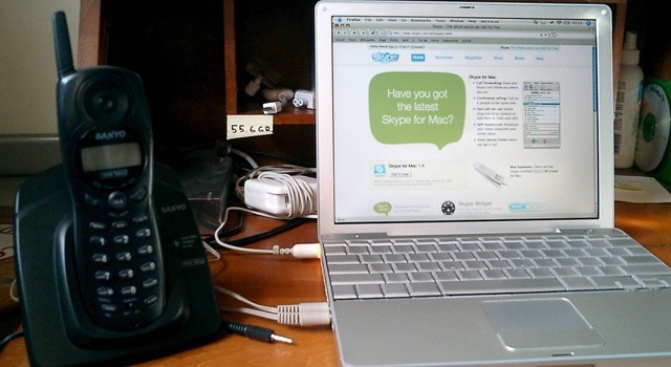 On Tuesday the wildly popular Internet calling service, Skype, will give iPhone users everywhere the chance to use WI-FI to make cheap calls across the globe, according to our friends at The New York Times. The free software will be available for both iPhones and the iPod touch and it will also become available to BlackBerry users in May. The mobile service will work exactly the same as the computer service, which boasts more than four million users worldwide. Users will be able to send instant messages for free and pay a low rate when they call other phones. But Apple will limit the service so it only works over WI-FI and not over AT&T's data network, according to The New York Times. The move is still seen as a direct threat to cell phone providers everywhere, according to several experts.